We were returning to New Mexico from Dinosaur National Park and decided to take a scenic route. Along the way, we passed through the town of Rico, CO. They had several displays near the highway, so we stopped and took a few photos. I have no idea whether this mill is a reproduction or an original, and if it was original, I don’t know which mine it originated. 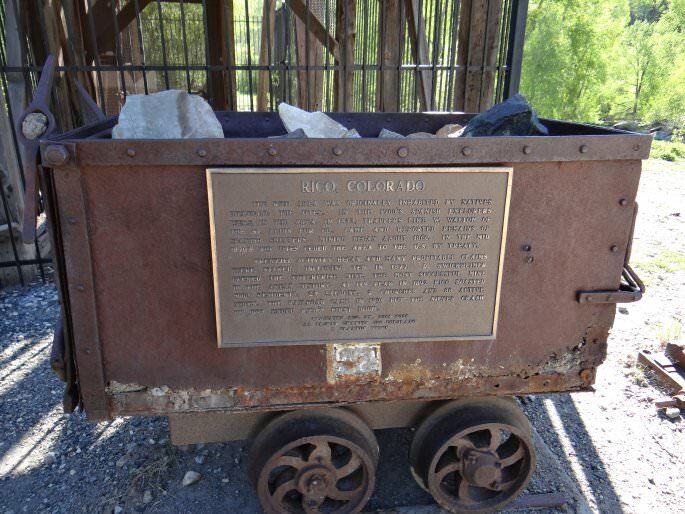 There was a display on an ore cart that described one of the mines in the area. natives including the Utes. In the 1700’s Spanish explorers were in the area. In 1833, trappers like W. Walton of the St. Louis Fur Co., came and reported remains of Spanish smelters. 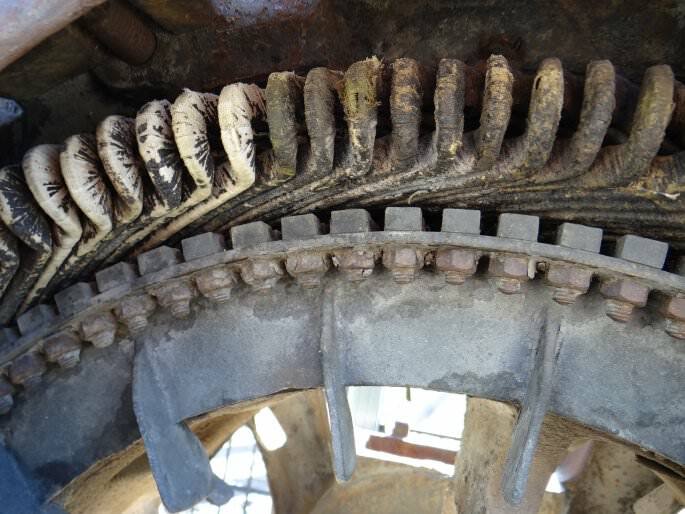 Mining began about 1860. In the mid 1870s the Utes ceded the area to the U.S. by treaty. Frenzied activity began and many profitable claims were staked including ten in 1877. D. Swickheimer opened the enterprise mine, the most successful mine in the area’s history. At its peak in 1892 Rico boasted 5000 residents, 23 saloons, 2 churches and 88 active mines. The railroad came in 1891 but hte silver crash of 1893 ended Rico’s first boom. 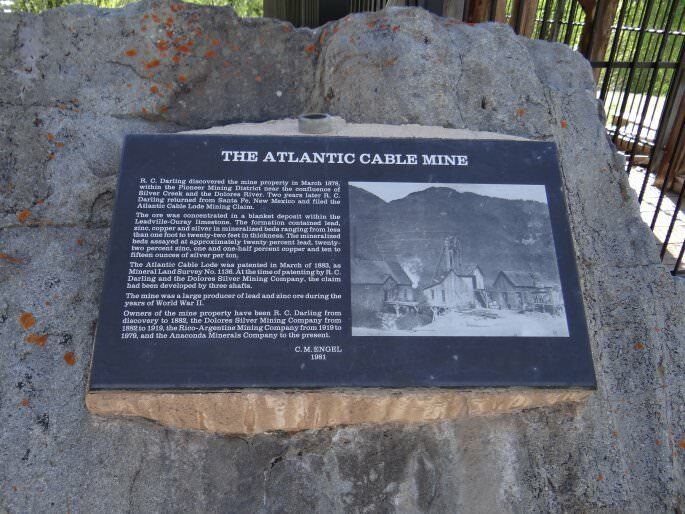 One of the displays has text about the Atlantic Cable Mine, written by C.M. Engel in 1981. In case the photo doesn’t load, I have copied the text into this blog post. It is copied for clarity, not as a claim to have written it- credit to C.M. Engel for that. R.C. Darling discovered the mine property in March 1878 within the Pioneer Mining District near the confluence of Silver Creek and the Dolores River. Two years later, R.C. 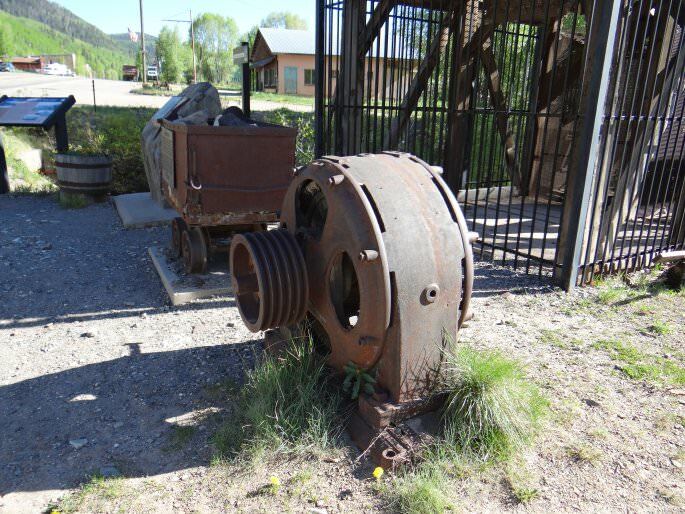 Darling returned from Santa Fe, New Mexico and filed the Atlantic Cable Lode Mining Claim. The ore was concentrated in a blanket deposit within the Leadville-Ouray limestone. The formation contained lead, zinc, copper and silver in mineralized beds ranging from less than one foot to twenty-two feet in thickness. The mineralized beds assayed at approximately twenty percent lead, twenty two percent zinc, one and one-half percent copper and ten to fifteen ounces of silver per ton. The Atlantic Cable Lode was patented in March of 1883 , as Mineral Land Survey No. 1138. 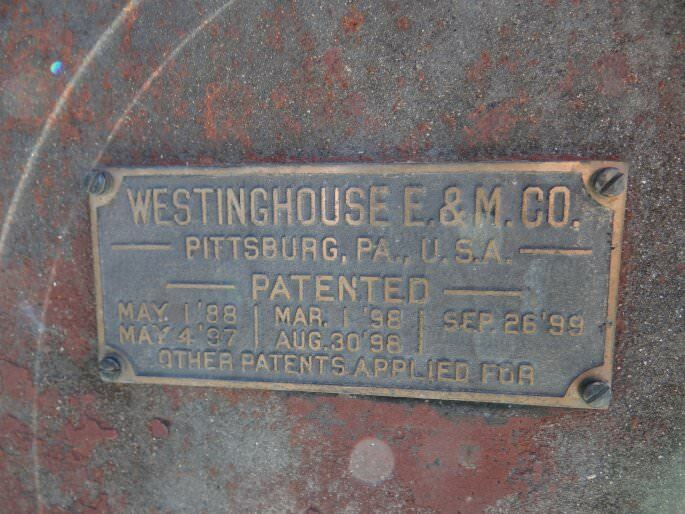 At the time of patenting by R.C. 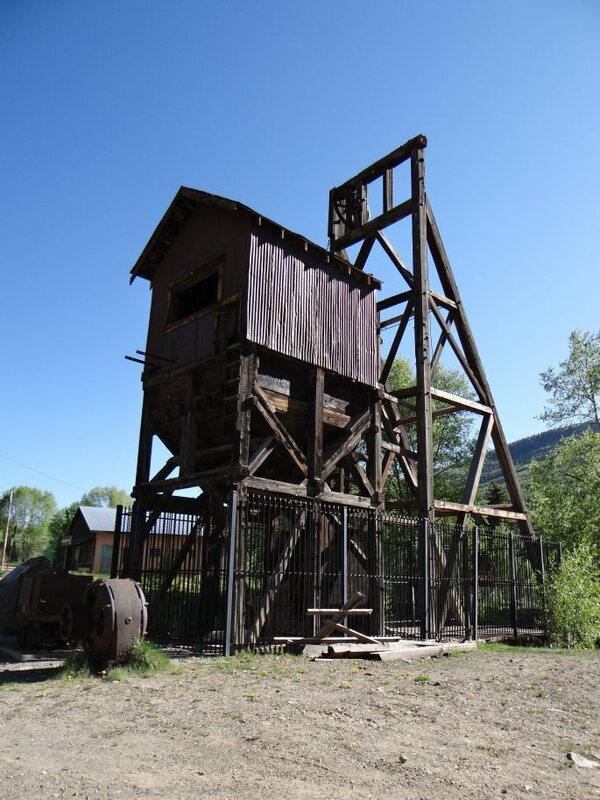 Darlin and the Dolores Silver Mining Company, the claim had been developed by three shafts. The mine was a large producer of lead and zinc ore during the years of World War II. Owners of the mine property have been R.C. Darling from discovery to 1883, the Dolores Silver Mining Company from 1883 to 1919, the Rico-Argentine Mining Company from 1919 to 1979 and the Anaconda Minerals Company to the present. One of the important features of this area was their early adoption of AC power, and the hydroelectric dams in the area. 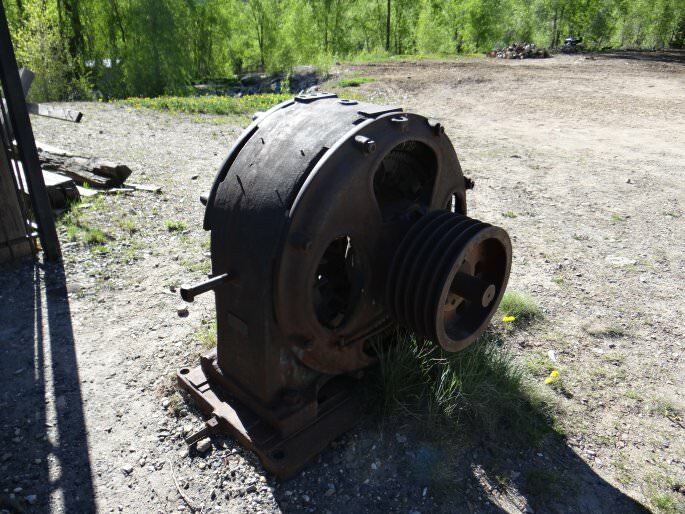 Before adopting AC power, the mines were too expensive to operate. Once the power of the rivers was harnessed, costs went down and mining became more profitable. Rico was no exception, and one of the key items on display was an electric motor. I took a photo of the manufacturing plate, and copied its text here. Another good reference for this town is the Rico, CO town home page.